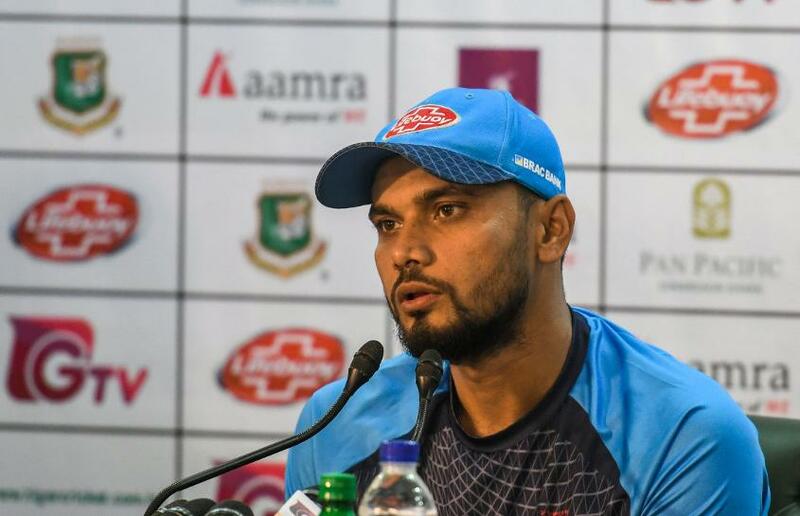 Mashrafe Mortaza, the Bangladesh ODI captain, says his "mind is set" on playing the ICC ODI World Cup in 2019. The 35-year-old's sole focus is the 50-over format, having already announced retirement from Twenty20 international cricket. He has also not donned the whites for Bangladesh since 2009. "My aim is to play until the World Cup. It is a matter of eight months and I will try to continue the way I am continuing. My personal goal was to play the World Cup and whether [a] review, will be required only time can say," he said on Tuesday, 5 December, ahead of the three-match ODI series against the Windies. Mortaza says he wasn't sure if he would continue playing after the ICC Champions Trophy 2017, where Bangladesh made it to the semi-final of the tournament. "My [mind] was made up for the World Cup. At one point I didn't know if I could go further than the Champions Trophy, but fitness kept me going," added the Bangladesh skipper. "I will review my decision if I feel differently after the World Cup. My personal goal was to play till the World Cup, which is eight months away. During this time I will be playing within my plan. Whether I will review my decision [to quit after the World Cup] or not, time will tell," he said. "My aim is to play until the World Cup"
Mortaza, who has scored 1722 runs and claimed 252 scalps in 199 ODIs, revealed that his family members and the public had been doubtful about his future after the 2011 World Cup. "[But] I carried it further for another seven years. All my family members were apprehensive whether I can carry it or not," he said.